On November 7, 2017, the Swedish Defence Materiel Administration (FMV) announced that the Ministry of Defence had decided to give FMV an assignment to ask the US government for a tender for the Patriot air defence systemhttps://www.fmv.se/en/News-and-media/In-focus/FMV-commences-negotiations-regarding-procurement-of-Patriot-surface-to-air-missile-system/ . The main contender had been the Franco-Italian alternative SAMP/T. Why did Sweden choose Patriot, and why not SAMP/T? There are a number of interacting and interrelated factors and arguments that explain the outcome. After Russia’s invasion into Ukraine 2014, combined with Russia’s offensive military posture and ambitious armament program, Sweden has profoundly redirected its military priorities. After a long period of international operation being the main task, combined with drastic cuts in domestic military infrastructure and logistics, Sweden’s main defence priority is now to increase the aggregate, national military capabilities and troop readiness. Air defence capability is one of the primary priorities. Sweden chose in 2016 Iris-T as the missile for short-range air defence and RBS 15 for sea-launched missiles for naval targets. Iris-T is a six-nation collaborative development, with Sweden as one of the nations. RBS 15 is a missile developed in Sweden. The installation of Russian Iskander ballistic missiles in Kaliningrad alerted the need also for a medium range surface-to-air defence system. Sweden’s present capability is based on the old HAWK 97 missile, with a range of 40 km. A missile solution was needed with longer range that can intercept ballistic missiles, and Sweden has no such projects under development. After a period of evaluating international options, two alternatives stood out by early 2017: Patriot from the US company Raytheon and SAMP/T from the Franco-Italian company Eurosam. These two systems received the opportunity to show their performance in the large Swedish military exercise Aurora in September 2017. What are Sweden’s demands and specifications for the new system? An operative system that can be delivered around 2020, and that meets the specifications for range and performance. Not a system under development, and preferably combat proven. Alongside this, there are a number of factors that affect the choice of systems. Both systems meet the demands for being operative. Regarding the delivery for 2020, FMV state that Patriot meets this demand, but that SAMP/T as produced for Sweden would mean delivery later than 2020. Patriot is combat proven, and has since 2015 (according to Raytheon) intercepted around 100 ballistic missiles. It has been used by five countries in over 200 engagements. Patriot is in use by 13 countries, SAMP/T in 9. The cost for a new system does not appear to be a limiting factor. The planned procurement will bring a cost that is not covered under planned procurement appropriations for the period until 2025. Either choice of system will demand added procurement funding. Regarding performance, the systems have different special strengths and limitations, but both would do the job. Sweden has as an EU member state signed up for the EU CSP. This brings with it an obligation to contribute to EU’s combined military capabilities. However, since 2014 there has been a gradual shift towards Sweden prioritising national defence more on NATO technological and operative troop interoperability with NATO and through bilateral defence accords. This shift has led to a subtle decrease in prioritisation of EU goals and obligations. The defence minister since 2014, Peter Hultqvist, has been highly active (and successful) in deepening bilateral security and defence collaboration with the US. Denmark, Finland and the US have been designated as the most prioritised nations, and bilateral MoUs were signed in 2015 and 2016 with these countries. In May 2016 the Statement of Intent (SoI) was signed with the US. Under SoI Sweden and the US closely collaborate regarding capabilities, research and intelligence in five chosen areas. How this is implemented is largely classified, but a common denominator is the Baltic Sea arena. Sweden is not a NATO member. There has been considerable debate in recent years if Sweden should join NATO. Sweden has in many aspects come very close to NATO without joining, and is probably closer to the US in some technology areas than some NATO members are. Sweden has had a long-standing close collaboration with the US since the 50s in military technology and military planning. Until the 80s, the depth of this bilateral relationship was largely only known to a small circle of politicians, officers and people engaged in capability development. The relationship was withheld over different governments, right-wing or social-democrat. Sweden has, as many European nations, acquired missiles from the US for decades. These missiles have predominantly been developed and produced by Raytheon (or companies now part of Raytheon). These missiles have always been delivered with performance and systems encapsulated in black boxes. No buyer has been allowed to open the black boxes and has been able to modify the performance. All modification has to be performed by Americans. This has for buyers led to substantial dependence and lack of strategic autonomy in highly strategic capabilities. The Meteor BVRAAM missile projected was initiated in 1998 by the six LoI nations (France, Germany, Italy, Spain, Sweden and United Kingdom) in order to create an autonomous European capability, not dependent on the US. SAMP/T offers an option for non-dependence on the US in this regard. Patriot is offered as Foreign Military Sales (FMS); government-to government sale. FMS in practice means that there will be no local production, no local modification and no offset. Sweden acquired Black Hawk helicopter sin 2011 under FMS, where the US Army let helicopters at the front of the Sikorsky production line instead go to Sweden. None of the 13 Patriot buyers has achieved local production. A SAMP/T procurement would likely include Swedish participation in production and development. This has been put forward by critics in Sweden; why doesn’t Sweden prioritise involvement of Swedish defence companies? Sweden has however experience of considerable delays in shared development through acquisition (especially the NH90 helicopter), and this experience brings uncertainties. € 1 billion. A fully operative system is expected to land at € 2-2,5 billion. This is three times the cost of the program for the new submarine A26. Based on comparisons with other recent European buyers (Poland, Germany, Romania), other analysts predict a final cost up to € 4 billion. Thus, the cost outcome appears unclear. Patriot is a very large packaged system, where many vehicles and sensor systems are included in the procurement. The system in itself does not include its own defence, and this could lead to requirements for further military units defending them – units not present in the present troop structure. The evaluation and assessment of the two options leading to the preference for Patriot is classified. The defence minister summarizes the process by stating that the Armed Forces preferred Patriot, that it best meets the capability demands and that it is a combat-proven system that will delivered on time. He dismissed the propositions that the transatlantic link became instrumental – “it was the best solution for the needed military capability and delivery demands”. FMV has now initiated negotiations with Raytheon and the US administration. The objective is to have a contract signed before mid-2018, with deliveries starting in 2020. It should be kept in mind that it is still a negotiation, and there are many examples of prolonged negotiations in defence procurement. There is a Swedish election coming up in September 2018. There are unsolved questions, and specific demands that must be met. Adjustments in Swedish troop structure will have to be made, and considerable additional financing must be directed for this acquisition. So there are uncertainties. Sweden is a close ally to the US, and the Baltic Sea interface has once again become a highly geostrategic region. 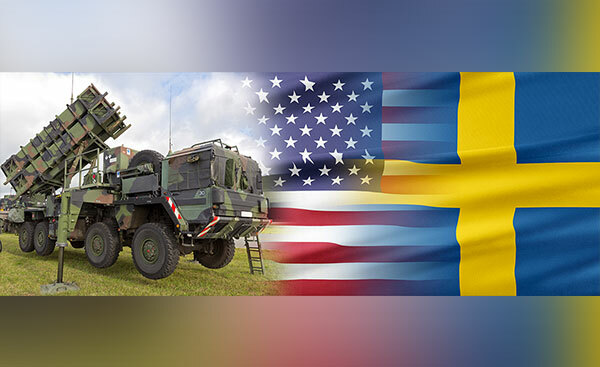 An acquisition of Patriot would reaffirm the firm security policy handshake already in place between Sweden and the US, and also show that the EU CSP and European shared defence technology autonomy comes second in Swedish security and military priorities. Multi-domain Battle : comment l’Army se prépare pour une confrontation majeure en 2035 !